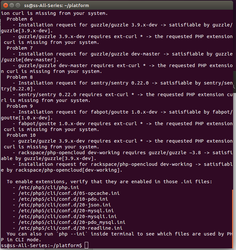 I want to ask the last question:could you please give me all the version you used ?php..apache....,all the stuff. Hi, I'm trying to launch a platform-client using docker. 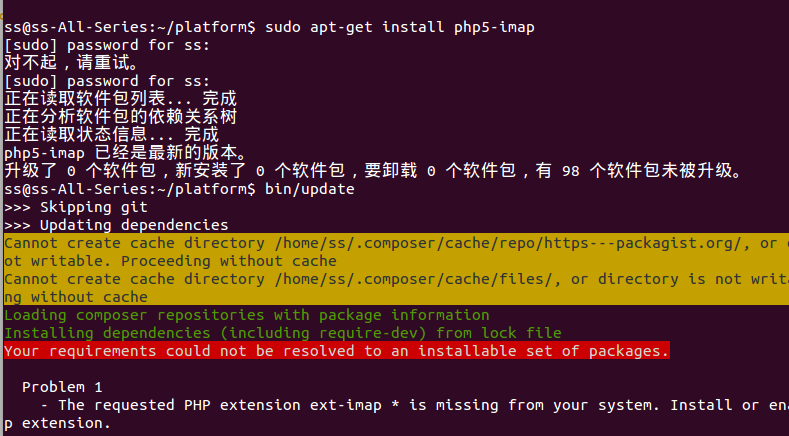 I tried the commands in the README.md, but they just give a vanilla NGINX server installation. I noticed there are number of other docker configurations. I built a docker image using the build.Dockerfile and it works, but I'm unsure how to proceed. 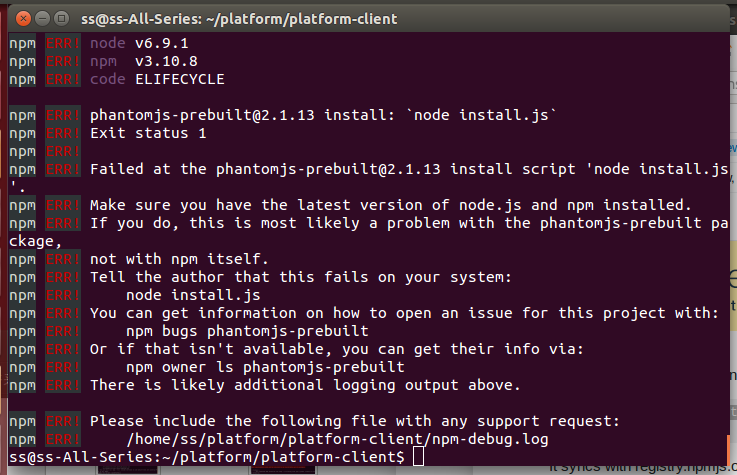 I'm using platform-release v3.6.1. It's strange I couldn't save the General settings. Did anyone report the same thing? [Robbie Mackay, Ushahidi] Looking at the README.md .. those are very old instructions I should have long since removed. Sorry. I have already successfully launch a local ushahidi website on http://localhost:8080. Then, I turn off the vm and try to follow the same progress to launch another revised version. 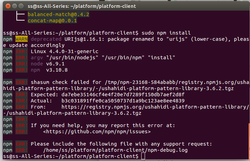 After completing "vagrant up && vagrant provision" for "platform" and "gulp" for "platform-client", why this time I can not access http://localhost:8080? "ushahidi-platform-openisdm" is the one I launch for the revised version. You can see I actually turn off the "ushahidi-platform" which I ran for the official version. Is it because of some conflict on port 8080? Package league/url is abandoned, you should avoid using it. Use league/uri instead. that one is not ok,right? if you're getting set up for development, you might want to fork the repository first. well... I didn't see anything wrong when I ran "vagrant up && provision"
oh if I run "gulp node-server", I can successfully access "localhost:8080". Do you know why it work but "gulp" didn't? haha it's always great to meet you David! [David Losada, Ushahidi] willis, looking at the latest version, the default task in gulp is to build the frontend assets, and keep watching for any changes in the source to trigger a rebuild. However, that doesn’t bring up a server to serve those assets to a browser. That’s exactly what node-server does. 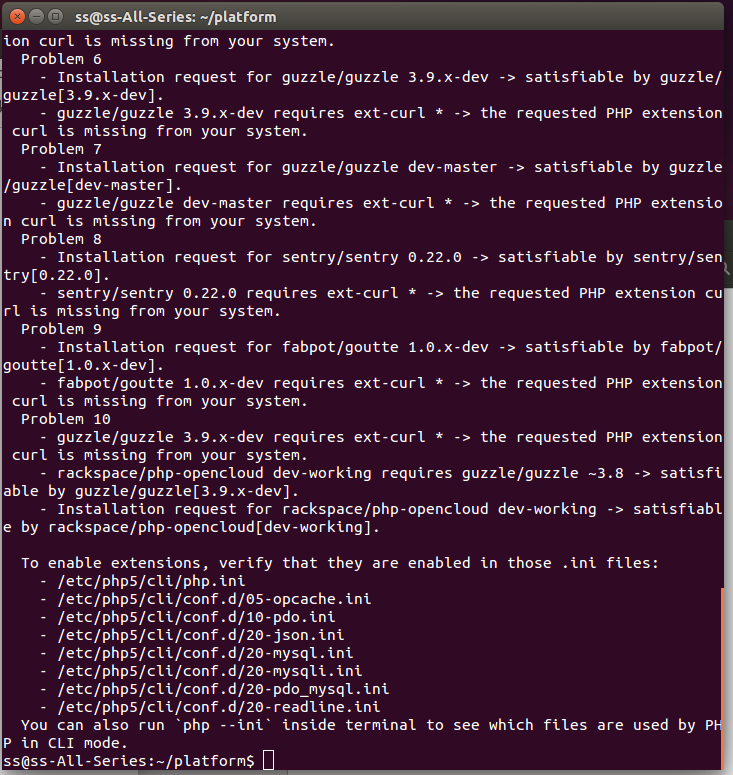 well... but why at the first time I only need to run "gulp" and then I could access "localhost:8080"? oh you mean the official version I ran is a old version? 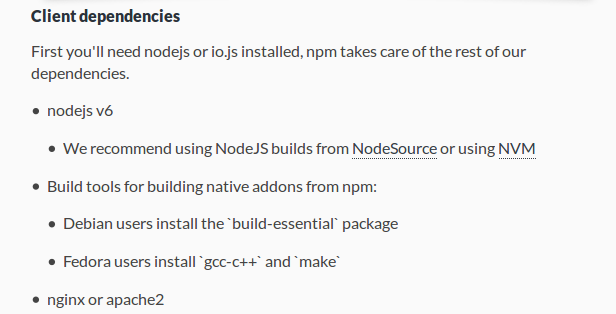 and for the new version, we should run both "gulp" and "gulp node-sever" to access "localhost:8080" on browser? * Runs a simple node connect server and runs live reloading. 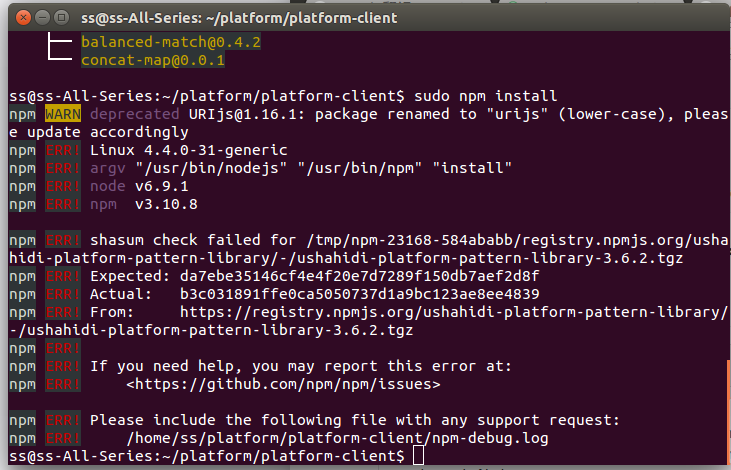 [David Losada, Ushahidi] maybe try removing it first with “sudo npm cache clean ushahidi-platform-library"
[David Losada, Ushahidi] it’s hard to tell how many times you will need to try the download until it succeeds ..
[David Losada, Ushahidi] it’s not really clear what happened there. 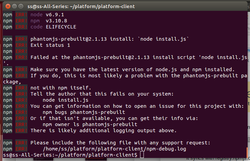 phantomjs carries a big download too. any other error messages when you scroll up? @rjmackay No sweat, the Dockerfile files have a dev's name in them who I know hasn't been involved in a while, so I didn't put too much hope or time in them. I'll go with a VM instead of docker, unless someone has a dockerfile ready to go.